San Francisco-based housing charity New Story has partnered with construction technology company ICON to design a 3-D printer for building homes for low-income people around the world. The team has been working on its designs for the past 10 months. The companies are now showing off the first 3-D printed house in the country built to local housing code. The team decided to test the printer in Austin, Texas. The prototype home created is a 350-square-foot structure that meets all of Austin’s permitting standards. The printer is capable of printing a home that’s up to 800 square feet. The average New York apartment is about 866 square feet. There were a number of goals the team had to meet for the endeavor to be viable. The printer needed to be able to withstand rugged conditions and bad weather while remaining transportable enough to be moved to areas without good transportation infrastructure. The 3-D printing software suite the company created needed to be able to allow communities to customize houses to meet their specific needs. 3-D printing has great potential for the field of architecture. The method appears to be cheaper and faster than traditional building, especially for architectural features like curved walls. 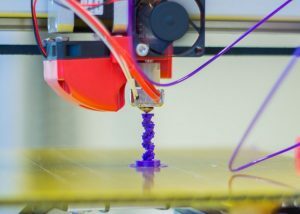 3-D printing will also use fewer resources as builders only print the exact materials they need. New Story is not the first company to experiment with 3-D printing buildings. Last year, the Russian company Apis Core developed a printer that could build a house in less than 24 hours at a cost of about $10,000. Back in 2013, Chinese construction company WinSun developed a method of creating 3-D printable buildings using a proprietary mix of cement, sand, and recycled materials. The company successfully created a six-story apartment, an office building, and an 11,000-square-foot mansion, as well as single family residences. If New Story has its way, the first people to live in its 3-D printed homes will be people in the world’s poorest regions. Lafci said, “There are over 100 million people living in slum conditions in what we call survival mode.” The company hopes to bring its sustainable home design to El Salvador, Bolivia, Haiti, and Mexico. New Story plans to build its first community of 3-D printed homes in El Salvador later this year.